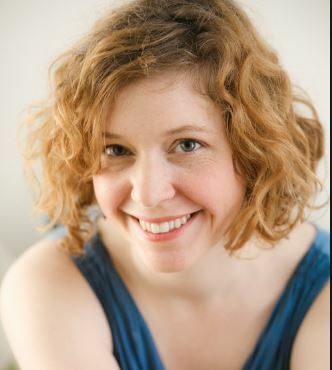 Journalist and book critic, Amy Gentry comes this week. Her novel, GOOD AS GONE will be released July 26th with Houghton Mifflin Harcourt. Writing on the Air is broadcast Wednesdays from 6-7 pm CST from the KOOP radio studios in Austin, Texas. You can listen online from anywhere by clicking here, or by heading over to TuneIn. If you’re in Austin, you can also hear us on 91.7FM KOOP. For our previous episodes, you can try the search bar, or simply scroll through the shows below. The audios are available on each page. If you’d prefer listening to our podcast, you’ll find us on iTunes, plus, we’re on Facebook and Twitter. We want to thank you for listening to our show. Amy Gentry’s GOOD AS GONE is a mother-daughter noir thriller set in her hometown of Houston, Texas. It is her first novel. She received a BA from The University of Texas, and a PhD from the University of Chicago. Amy frequently reviews fiction for the Chicago Tribune. Her writing has appeared in The Rumpus, The Hairpin, LA Review of Books, Salon.com, Gastronomica, xoJane and Publisher’s Weekly. She was also a contributor to the book, Best Food Writing 2014. Here in Austin, Amy had a long-running style and culture column in the Austin Chronicle called, “The Good Eye.” She’s also written for the Austinist, Austin CultureMap and the Texas Observer. And, she is a curator for Awst Press. For several years she volunteered with victims of sexual and domestic violence with the organization, Safeplace. Next year, her 33 1/3 Book is forthcoming from Bloomsbury Academic . “Gentry’s ambitious debut will satisfy fans of Gone Girl, The Girl With the Dragon Tattoo and The Killing.” –Merritt Tierce, author of Love Me Back. 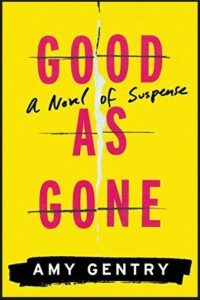 GOOD AS GONE is the Austin American Statesman “Statesman Selects” book choice for July 2016. Thirteen-year-old Julie Whitaker was kidnapped from her bedroom in the middle of the night, witnessed only by her younger sister. Her family was shattered, but managed to stick together, hoping against hope that Julie is still alive. And then one night: the doorbell rings. A young woman who appears to be Julie is finally, miraculously, home safe. The family is ecstatic—Julie’s mother has whispers of doubts. She hates to face them. She cannot avoid them. When she is contacted by a former detective turned private eye, she begins a torturous search for the truth about the woman she desperately hopes is her daughter. For more information, please see Amy’s website. You can also keep up with her on Twitter, and her blog, The Oeditrix.